We will always being there for you, taking you on a journey in to the Field of Dreams and never letting you down. Not any old piece of scrap farm land, this is a pristine field that is cared for, nurtured and crafted in to a beautiful wonderland fit for magical weddings and events. This will become your Field and we respect that. No forced wedding packages, you use your own suppliers and do what you want with your field... Within reason of course! There are loads of options for wedding and party venues, but if you want something truly unique and bespoke to you and your specific wants and needs then a Field venue if for you. Release your imagination, get creative, be practical and create a destination venue inspired solely by you. A huge open and expansive space, giving you the freedom to do what you want in one field; humanist ceremony, tipi village, marquees, garden games and more. 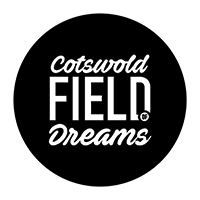 Enter the Field of Dreams, sit back and enjoy 360 degree views of this magical Cotswold valley. The view will never get boring. You get a beautiful blank canvas to create a theme, style, colour, decoration just how you plan it. Let your imagination run free and be in control of every aspect of your big day. Like Nothing You've Seen. Now Come See the Field. What style of venue is right for us? A Field Wedding: Where do I start? © 2019 Cotswold Field of Dreams. Built with love in the Cotswolds. All rights reserved.